The days are getting longer and new products are arriving in your store daily. What better way to turn up the sunshine on spring than through your store, email and social media channels? This month, we’re giving you the tools to do just that with a spring mood board created by our graphic designer, Jocelyn Cocain. The first day of spring is right around the corner! 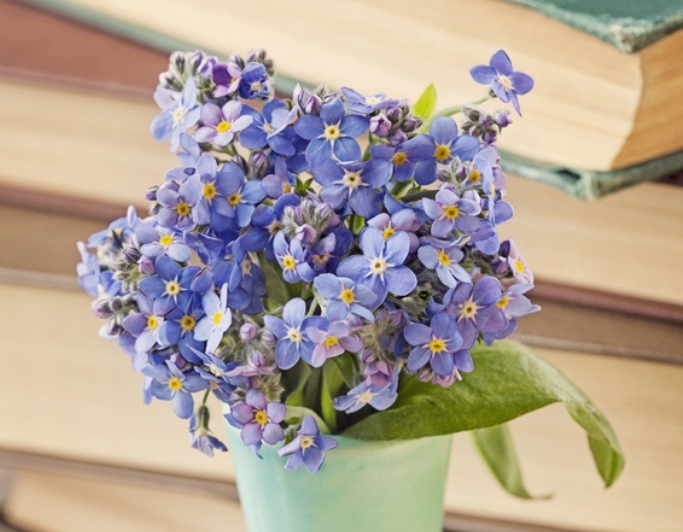 Jump into the spirit of spring with a pop of color in your emails and on social media. 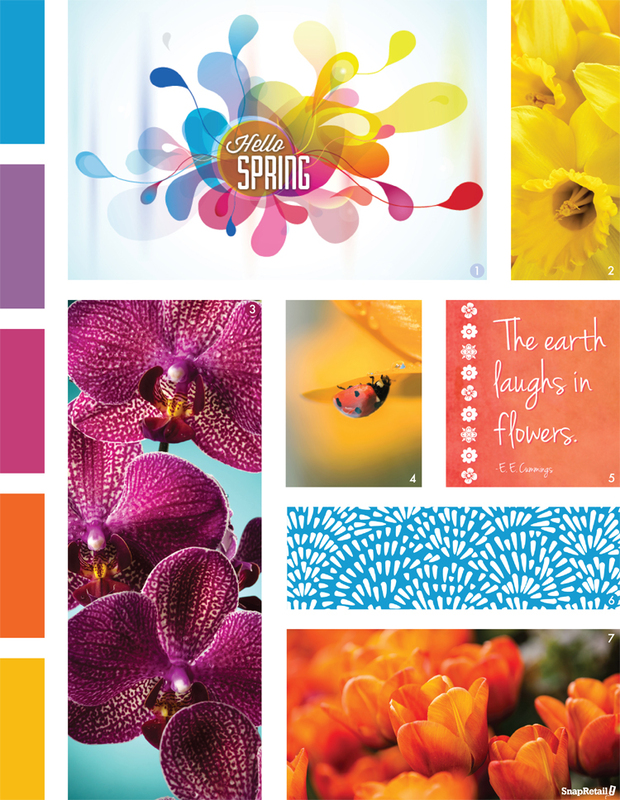 This mood board is designed to show you the inspiration behind the SnapRetail template, “Hello Spring.” I pulled cheerful hues from the header image to create the vibrant color scheme for inspiration. From there, I chose happy images for you to use within your marketing. Reassure your customers that spring is near with bright images of flowers. Don’t be afraid to use bold spring colors when arranging store displays with your new arrivals! I hand-picked the images featured in the mood board for you to use freely across social media. Share these images on Facebook or Twitter by clicking on the image of your choice below or by searching in your SnapRetail account for “Spring Mood Board.” And add a fresh look to your Facebook Page by downloading our free cover photos. The use of handwritten fonts has become a major trend in design. I currently love the delicate handwritten font, Jenna Sue, which is used in the spring quote (#5) on the mood board. I encourage you to play around with this font and use it for your in-store materials such as fliers, price tags and store displays. You can download Jenna Sue (for free!) here. Click here to send the featured spring template to promote new arrivals, events and anything else spring-y going on in your store.